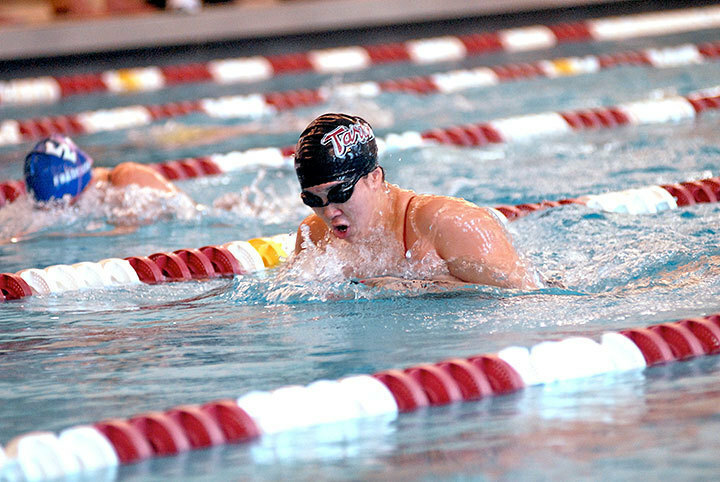 The Carnegie Mellon University swimming and diving team defeated the University of Rochester and Washington & Lee University in a dual meet hosted by the Tartans on Saturday. 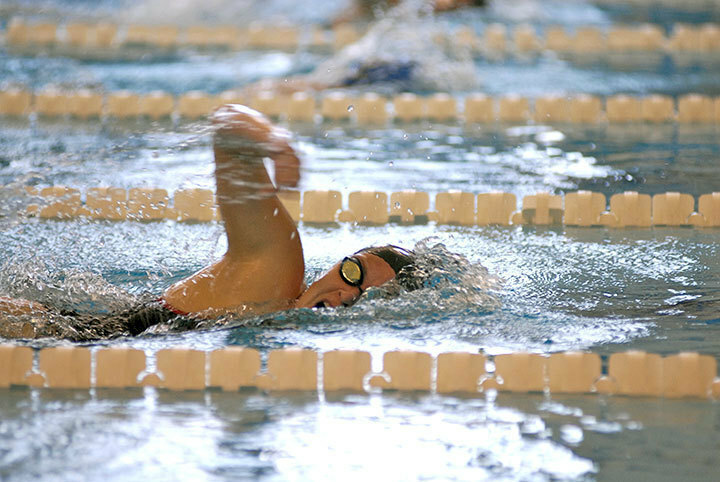 The women topped Rochester 167–90 and W&L 165–92 while the men defeated Rochester 189–71 and W&L 153–107 in what was the teams’ last tuneup before Kenyon’s Nike Cup in two weeks. The Tartan women won every single event in the meet, with junior Molly Evans raking in a win in the 1000-yard freestyle in 10:33.02, the 100-yard backstroke in 1:00.44, and the 200-yard backstroke in 2:11.89. First-year Dorothy Yu also scored points for the team, winning the 100-yard and 200-yard breaststroke. Senior Sara Andrews also pulled out a win in both of her events, swimming the 200 freestyle with an impressive time of 1:58.67 and the 100-yard freestyle in 54.89. Sophomore Victoria Adams was victorious in the 500-yard freestyle, touching in with a time of 5:18.83 while fellow teammate sophomore Hannah Gonzalez took victories in the 200- and 100-yard butterfly. “[Both teams] swam spectacularly yesterday, and it feels good to win because it puts us in a better spot for Nike Cup,” Yu commented. Others that contributed to the team to lead them to their win were sophomore Jen Sung, who finished second in the 1000- (10:59.89) and 500-yard freestyle (5:24.11) and third in the 200-yard butterfly. First-year Breanna Stillo stood second in the 100-yard breaststroke behind Yu with a time of 1:09.25 before pulling out a win in her 50 freestyle with a time of 25.26, just second to junior teammate Brianne Burton by .01. The victory over W&L was special for the men’s team, as it was the first time they had won in the past four years. First-year Dan Glaser-Garbrick had a great meet, winning the 100- and 200-yard butterfly and the 200-yard individual medley. Junior Justin Whaley stood second in 1:57.65 behind Glaser-Garbrick in the 200-yard butterfly. Junior Alex Hanson also swam well, winning the 200-yard freestyle and finishing right after Glaser-Garbrick in the IM with a time of 1:58.95. Hanson was able to just touch out senior Jon Spring in the 200 free, winning by .13 over Spring’s 1:46.59. Senior Andrew Seo, competing in the final dual meet of his collegiate career, won both the 100- and 200-yard breaststroke. In the 100-yard breaststroke, senior Jason Huber also swam well, finishing second with a time of 1:00.30, and in the 200 breaststroke, sophomore Michael Rong was able to place second with a time of 2:15.64. For the long-distance events, The Tartans swept the field with senior Jonas Altman-Kurosaki winning the 500- and 1000-yard freestyle with a time of 4:46.79 in the 500 and 9:40.14 in the 1000. Junior Frank Olechnowicz touched in second in the events, with senior Gates Winkler finishing out the race placing third in both events. The divers dominated as well for Carnegie Mellon, as sophomore Olivia DeFazio won both the 1-meter and 3-meter events for the women and the group of senior Matt Kuhn and sophomores Eli Fatsi and Mike Alexovich took the top three spots on both boards for the men. The team will next compete at the Nike Invitational hosted by Kenyon College on Dec. 3 through Dec. 5. Jonas Altman-Kurosaki is a Sports Co-editor for The Tartan.